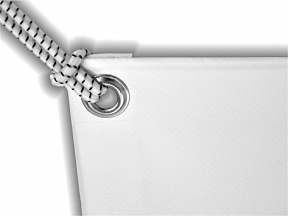 Father’s Day Banners from HFE are made from outdoor material and come with eyelets as standard. You can have a custom design at no extra cost as all our products come with FREE Design! For your bespoke printed Father’s Day Banner, you can either give us your instructions over the phone, by email or by the comments box in checkout. And remember two banners means FREE UK Delivery! 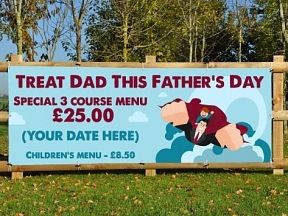 This design is based upon a pub or hotel offering a Father's day promotional meal deal, but we can design you anything for any event you have in mind, all at no extra cost.